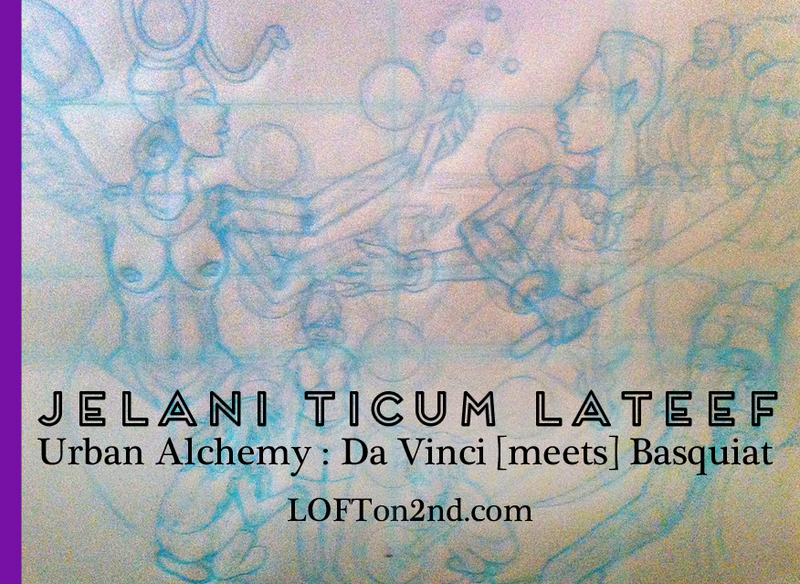 Urban Alchemy : Da Vinci [meets] Basquiat with artist Jelani Ticum Lateef utilizes a figurative process to bring forth his vision of an overwhelming prevalent spiritual influence throughout the universe…the symbolic relationship between the celestial realm and the Urban Alchemist. Friday, September 13 at 7:00p for the opening of the exhibit with live performance artists: Capoeira Angola Inland Empire, KenBts, Ta’raach, Judah1, The Catchatones. Saturday, September 14 at 6:00p we open for Pomona 2nd Saturday Art Walk (over 40 galleries). Come experience and support. Saturday, October 13 at 6:00p we close this show during October’s Pomona 2nd Saturday Art Walk (over 40 galleries). A last chance to see Jelani’s work on our walls and take one (or three) home with you. Jelani Ticum Lateef‘s art will be for sale and you can also visit our new Gift Shoppe.